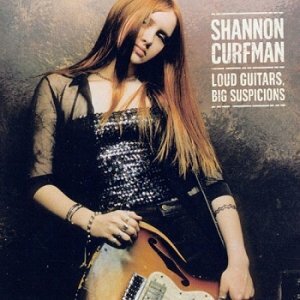 Loud Guitars, Big Suspicions is the debut album by American blues-rock artist Shannon Curfman, released in 1999, for Arista Records when she was 14 years old. The title comes from a line in the Sheryl Crow song "Hard to Make a Stand", which Curfman covers on this album. The record was produced by Shannon Curfman herself, along with Kevin Bowe, and Tom Tucker.